You’ve been working hard: 6am spin classes, a grueling 9-5 job, sitting in endless hours LA traffic. You deserve to treat yourself! Stop what you’re doing and indulge your sweet-tooth with one of these decadent desserts. Who doesn’t love tacos? No one, that’s who! Have you ever wished that you could have tacos for dessert? Well wish no further, Sweet Cup’s ice cream tacos have answered your prayers! 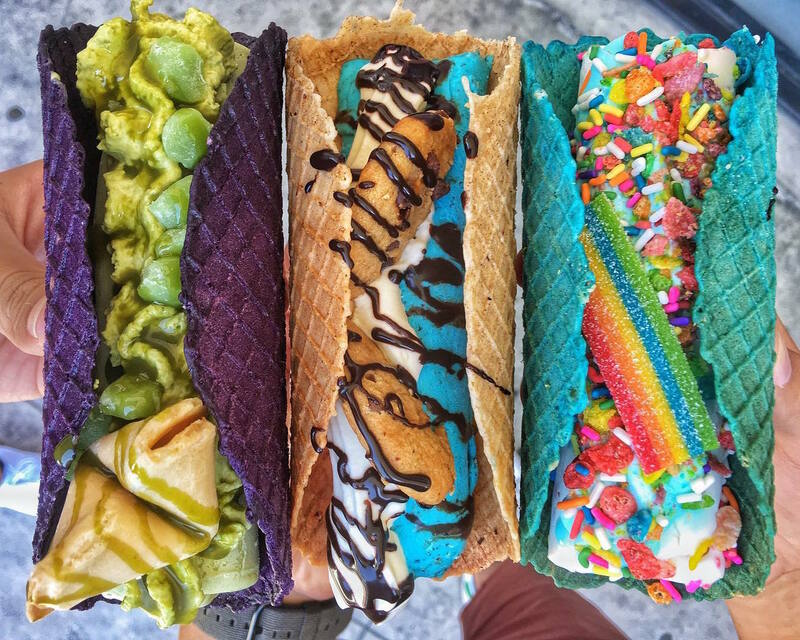 Served only on Tuesdays (although they may be changing to everyday soon), Sweet Cup’s tacos come in a variety of colorful and diverse flavors such as, strawberry shortcake, matcha and charcoal-black coconut topped with edible gold. We recommend trying the Rainbow Road; it’s made up of Fruity Pebbles ice cream in a pink shell, and it’s topped with rainbow sprinkles and multicolor sour straws. It’s going to be a scorcher of a summer! But the rising temperatures give you the perfect excuse to try one of Da Kikokiko’s shaved ices. Founded by Top Chef Season 14 winner, Brooke Williamson, as a love letter to Hawaii De Kikokiko will not disappoint! 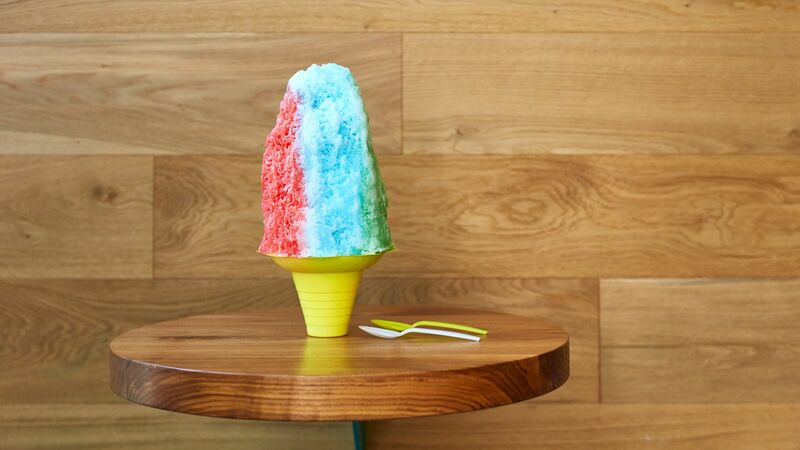 Precarious mounds of shaved ice are doused in syrups with flavors such as, yuzu and mango-jasmine and can be topped with li hing mui and filled with mochi and adzuki bean. Truly one of a kind! Want a dessert that’s a little less melty? Head over to Milk Jar Cookies and get one of their mouth-watering cookies. Milk Jar Cookies began as the dream of long-time cookie baker, Courtney Cowan, who left her job as a TV Post Producer to pursue her dream of opening a cookie shop. 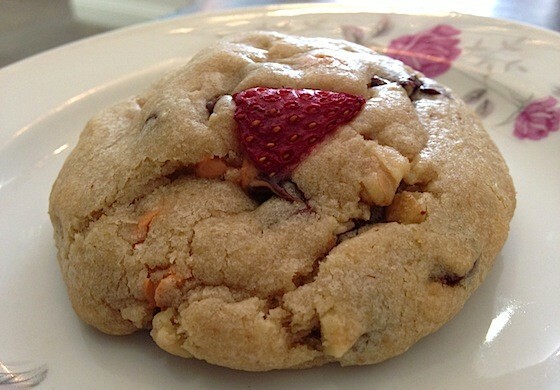 We recommend the banana split cookie, baked fresh throughout the day it comes topped with a strawberry slice that is baked right in.